Love rainbows? So do we! 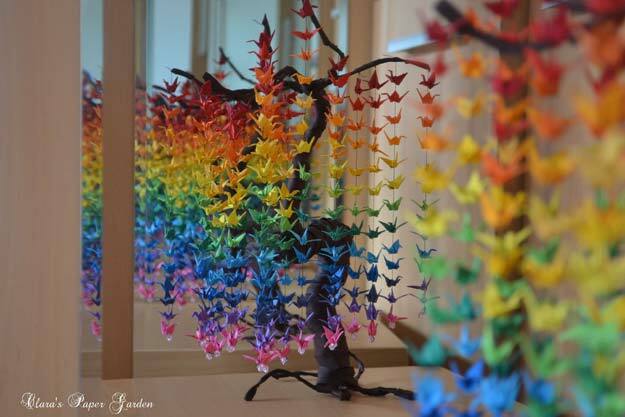 Who is not to love crafts with rainbows, then? 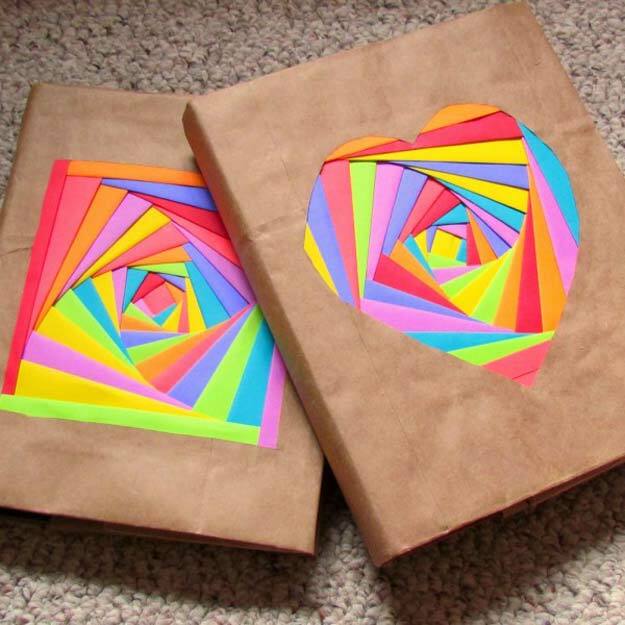 Bright and super colorful, these DIY rainbow crafts just make me smile. Cheery and creative home decor, fun DIY gift ideas for teens, awesome ideas for accessories and wall art. 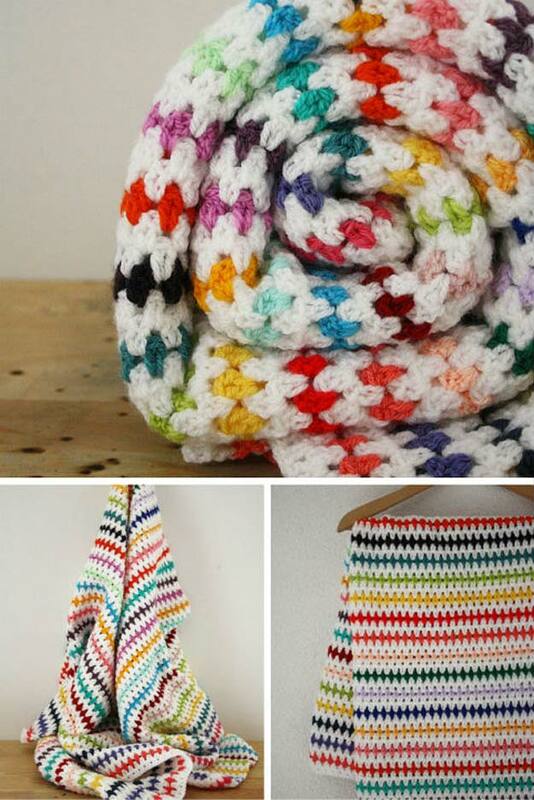 All come with easy to follow step by step tutorials and are perfect for beginning and expert crafters alike. 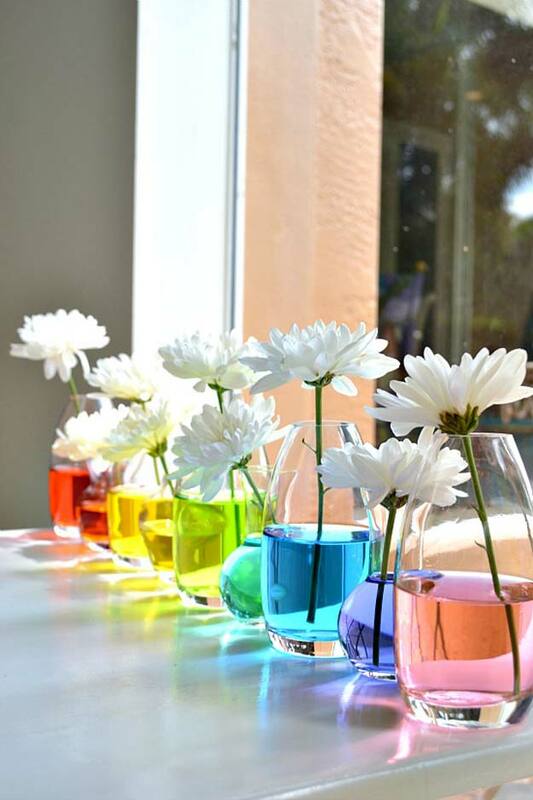 Have some fun this weekend and try out these cool crafts ideas, the best rainbow DIYs around. 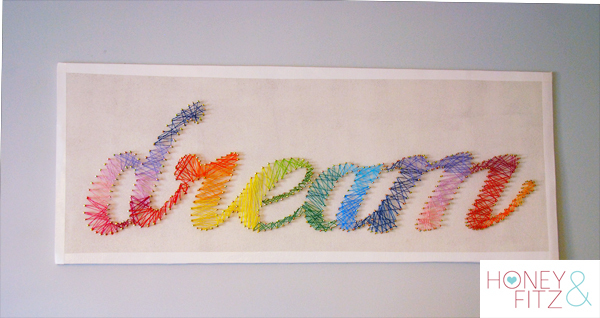 Dying to get your hands on doing your very own piece of string art? 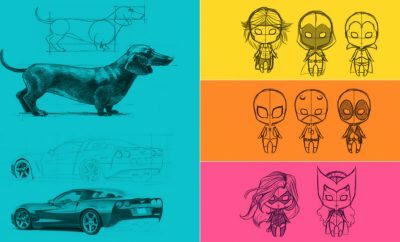 This tutorial will walk you through the whole process and the things you need to make your own piece! 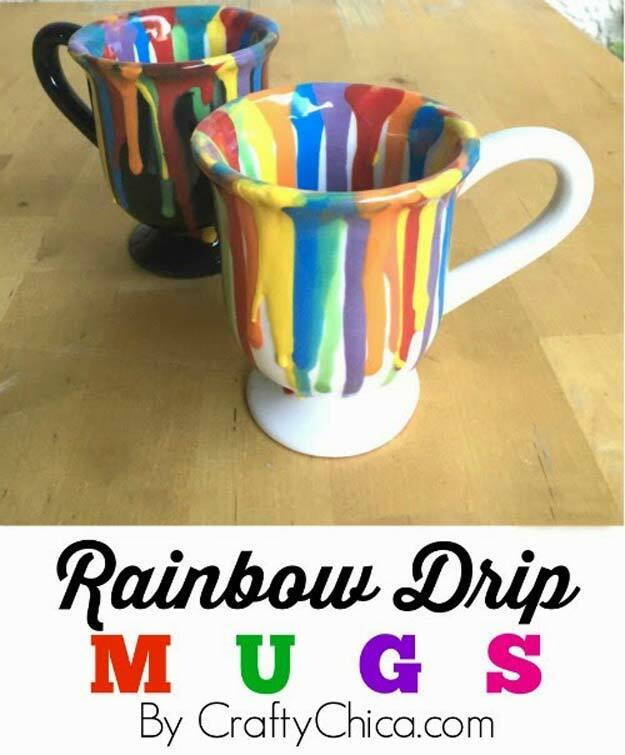 Drip art with a twist! Why not if you love to be unique? Check this tutorial out and be inspired how you can whip something as unique as you by clicking the link above! 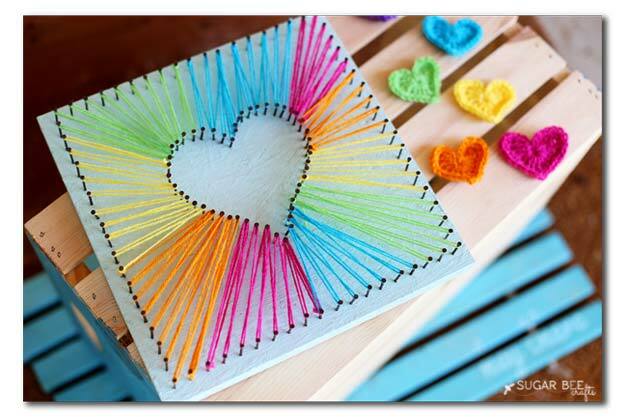 Fall in love with this Heart String Art. 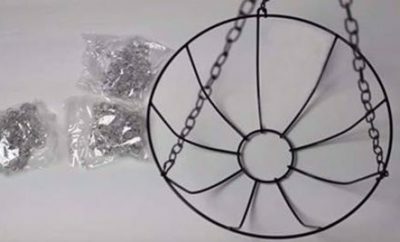 You’ll be surprised how easy it is to forge something intricate like a heart string art! Click the link above for the full tutorial. 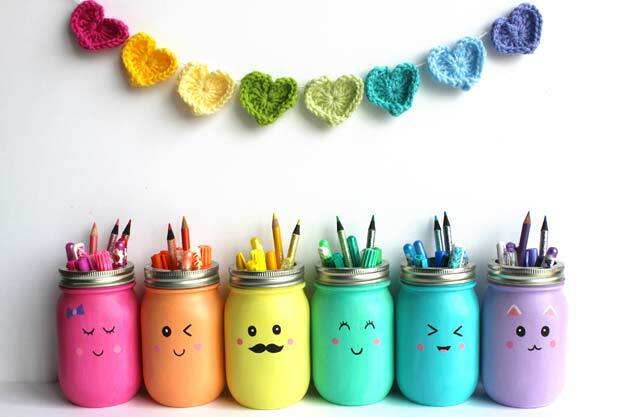 A cute mason jar pen will surely vibe up your study table! This makes a perfect gift too! Click the link above for the full tutorial. A fan of sneakers? Check this rainbow shoes tutorial to give your pair of sneakers a whole make-over! 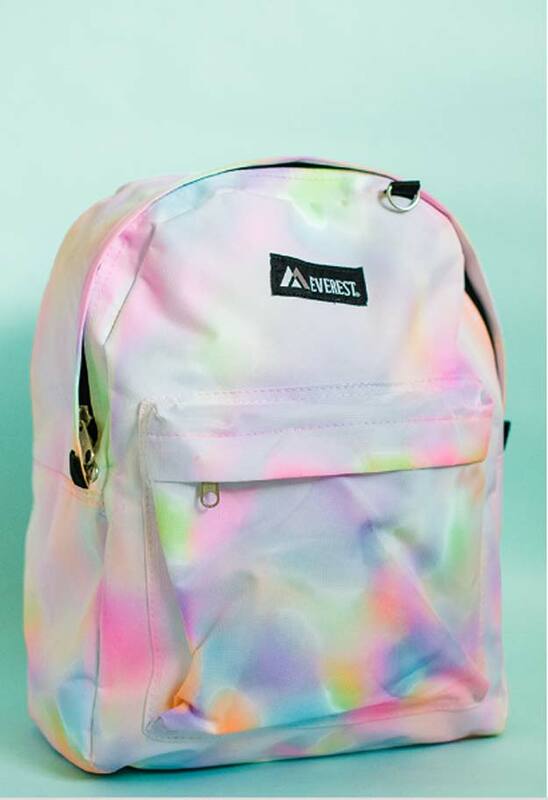 A one-of-a-kind backpack? This rainbow bag tutorial will help you give your bag uniqueness and character! Being unique does not require you to be expensive! Click the link above for the full tutorial. 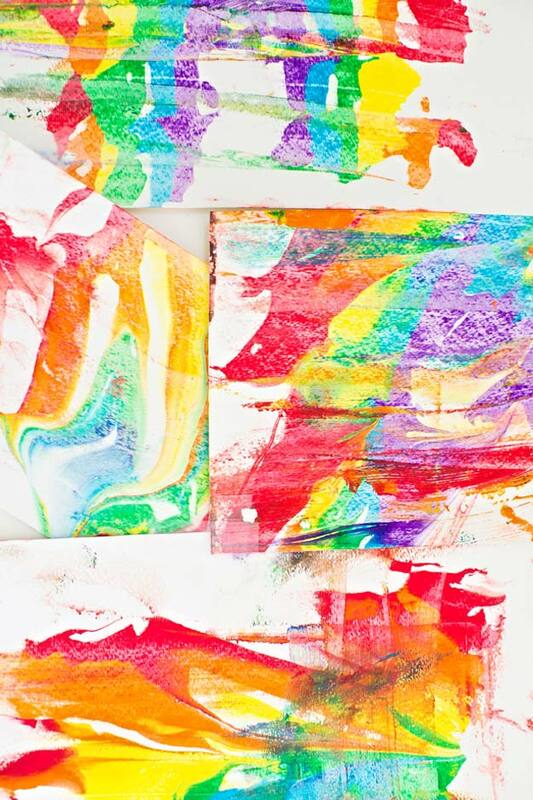 Who needs to spend a bar of gold for an abstract portrait when you can make this rainbow abstract art from art materials you already have! Click the link above for the full tutorial! 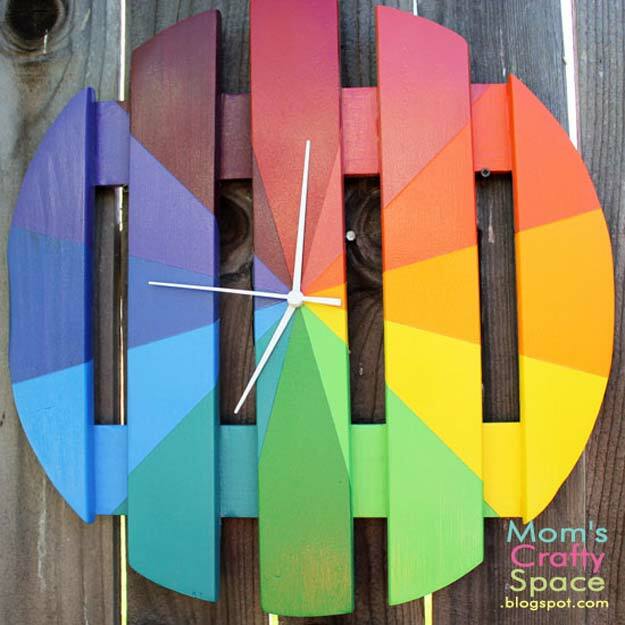 How appealing is a rainbow outdoor clock? If you are one who’s into lovely afternoon tea sessions at your garden, then you’ll definitely want to hang this artistic piece to your fence! Who can take their eyes off this set? This rainbow centerpiece is hard to resist! Click the full tutorial to know how you can make your own. 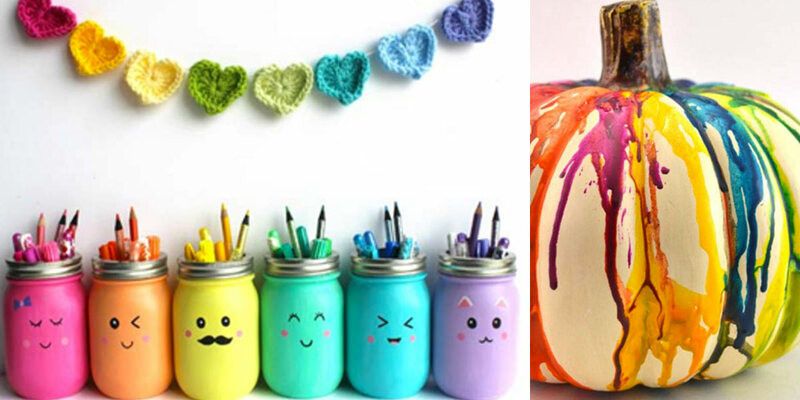 This project is perfect for the creative types who loves collecting crafts from a pottery! Click the link above and be walked through how to make your very own! Well this is handy isn’t it? 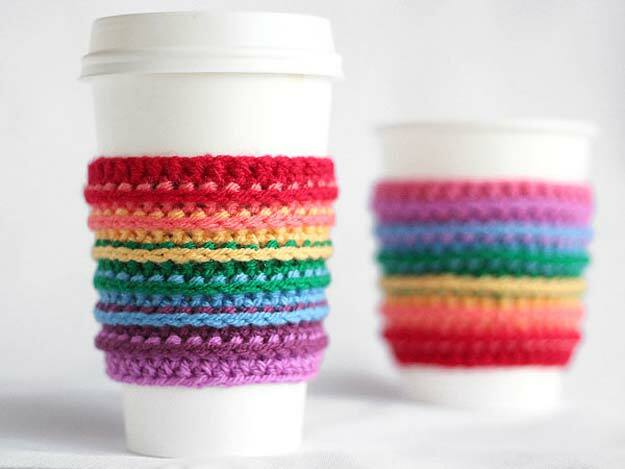 A colorful, adorable, crochet cup cozies perfect for a teen that’s always on the go! Click the link above to learn how you can make your very own! Exhibit your youth with this DIY rainbow bracelet you can make from materials you can find from a dollar store. Click the link for the full tutorial. 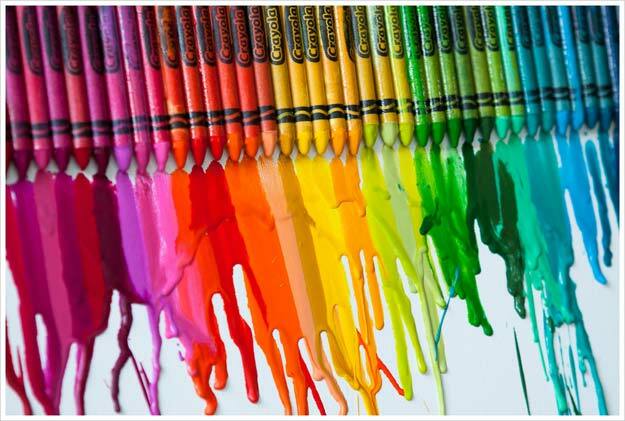 This melted crayon art is all over the internet and people are loving them! This artwork is perfect for bringing a lifeless wall to life. You’ll be surprised how easy to do it is! Click the link above for the full tutorial! Let’s admit it, somewhere in our hearts we find a little joy in lighting a candle and watching it melt at our heart’s content. Well? 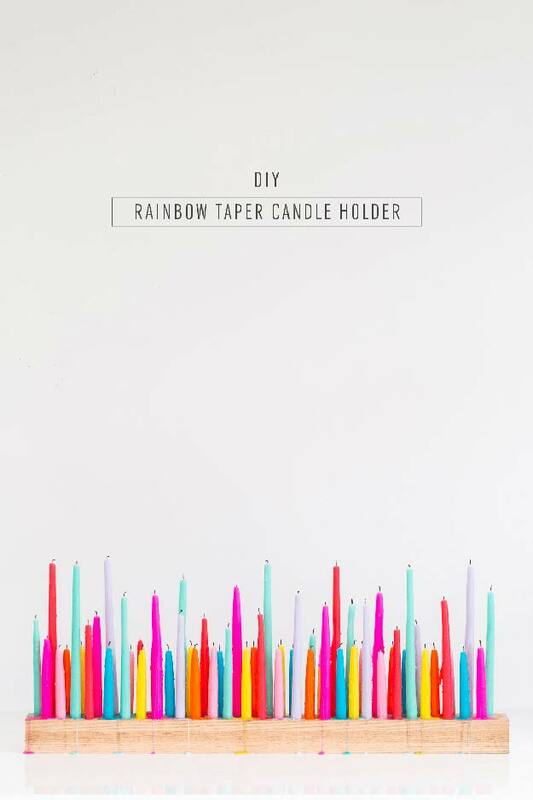 Do just that with this rainbow taper candle holder project! Click the link above for the full tutorial. Flicker some imagination with this DIY Butterfly crafts that will surely bring a lot of life to your room! Click the link for this and other butterfly project how-to’s. 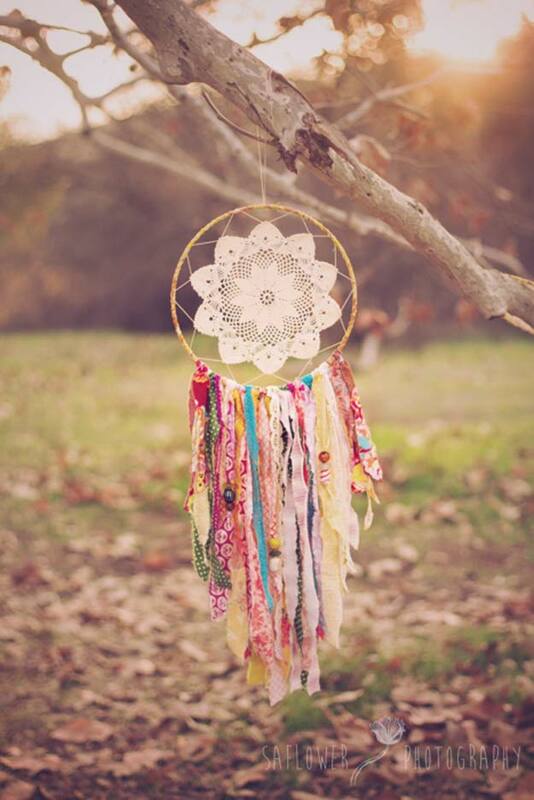 You’ll probably miss a portion of your teenage life if you do not have a dream catcher. 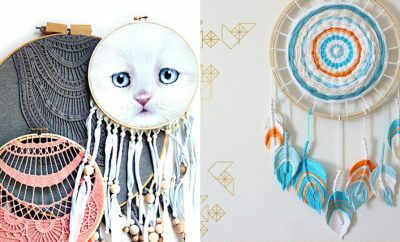 But if you are wondering where to find one, no need to treasure hunt as you can make your very own, customized dream catcher! Hit the link above the image to know how! 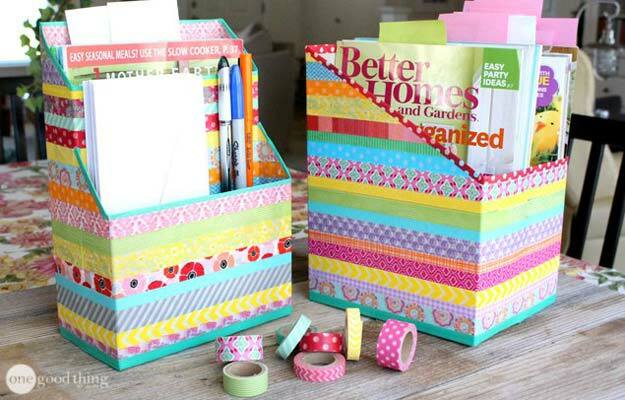 An organizer for little things like art or sewing materials? This origami chest of drawers is perfect for you! The link above this image will instruct you how to. If you love rainbows, you probably adore clouds too! 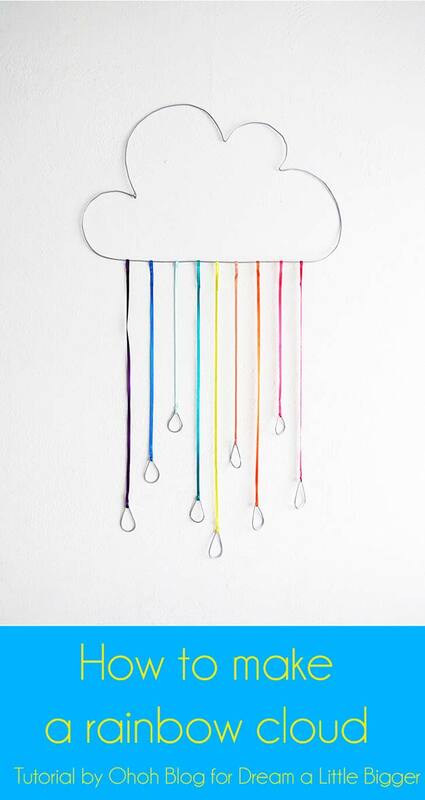 Bring your favorites together in this wall decorative that will not only exhibit your love for the vibrant colors of the rainbow, but will also signify your fondness of the clouds! Click the link above for the full tutorial. Have a blast making this rainbow shaving marbled art! 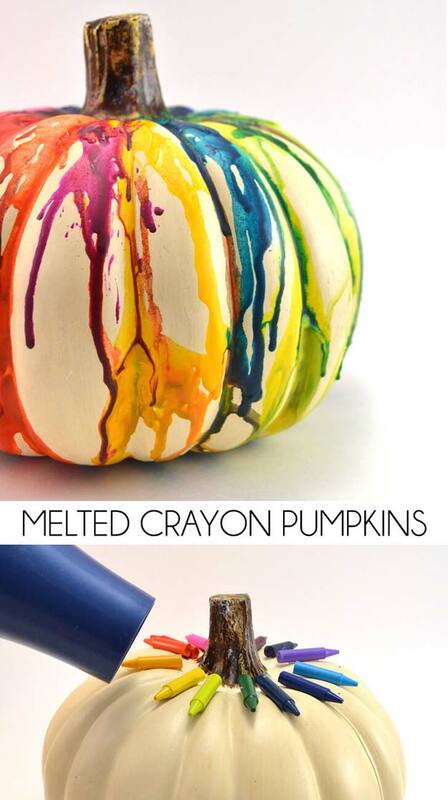 It’s super easy to do and super fun too! Click the link above for the full tutorial, as well a a video to show you ho it is done. 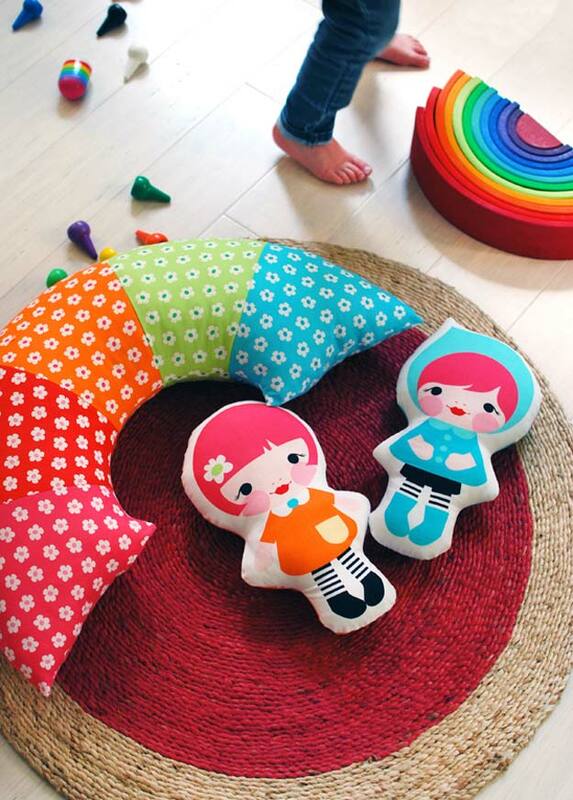 Doesn’t this bright rainbow pillow it represent all seasons for you? I know right? 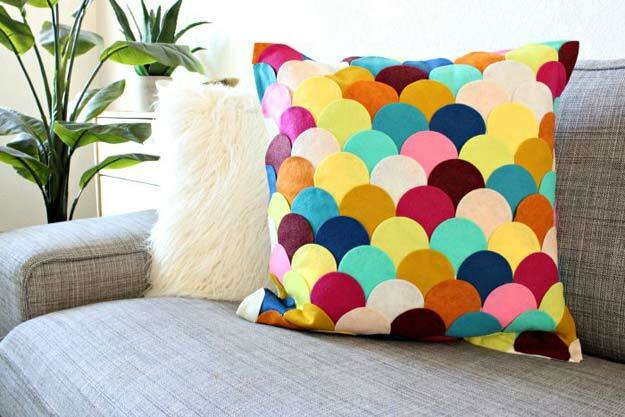 If you want to know how to whip this all-season-rainbow-colored pillow, click the link above! 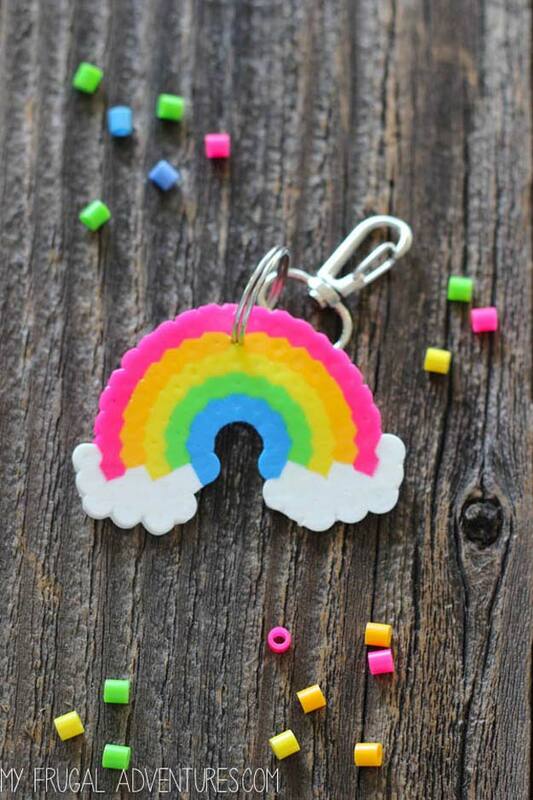 How adorable is this cute and simple rainbow perler bead? Add this to your collection of rainbow items by making your own! Click the link above to know how. 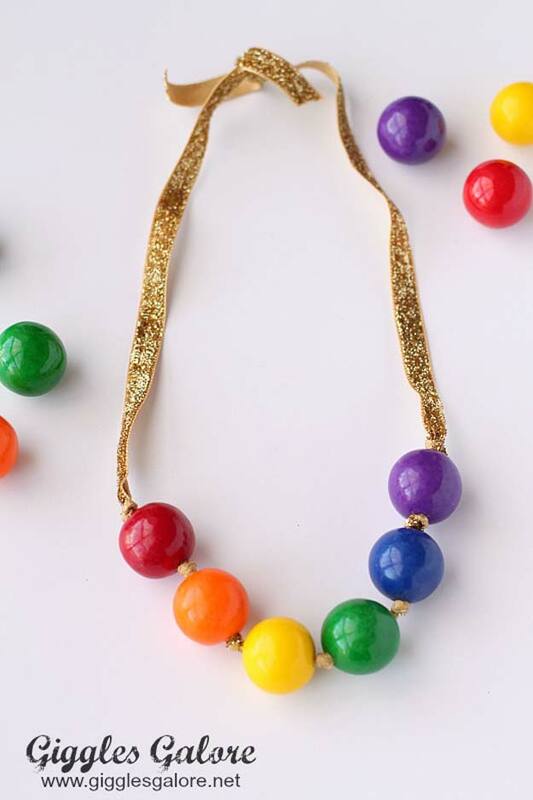 Who’d dare wear this rainbow gumball necklace without being happy? NO ONE! So if you want to pass on that positive vibe onto everyone, this necklace is your perfect companion! Click the link above for the easy how-to. 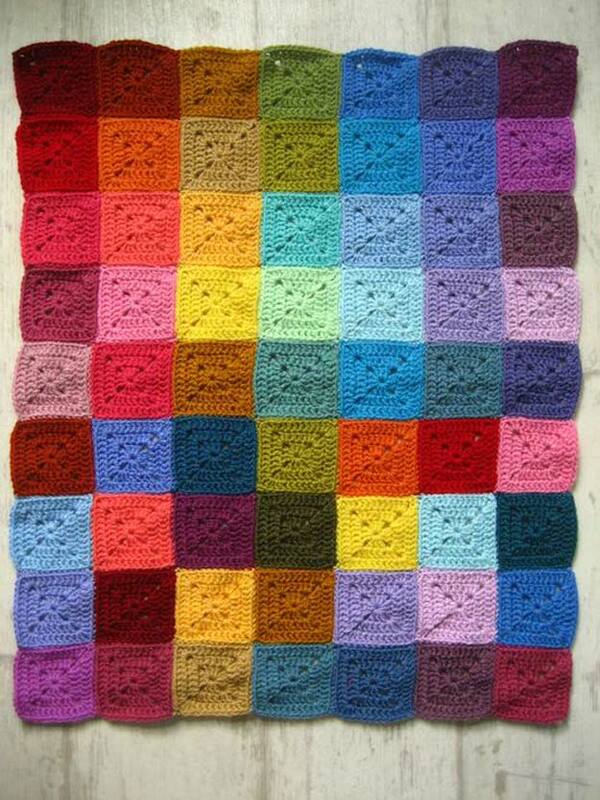 A bright, colorful, fun crochet granny square perfect for blankets, throws, bags, cushions or mats will probably leave you wanting to create a rainbow themed room, kitchen or living room! Click the link above for the full tutorial. 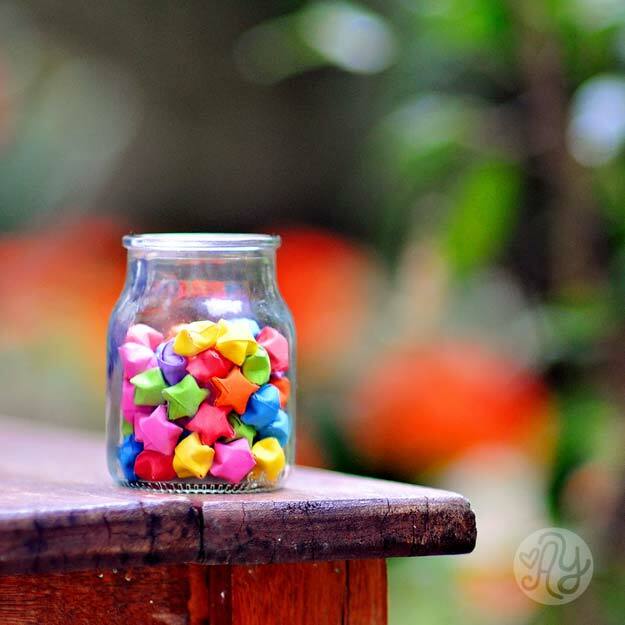 If you ever feel gloomy, this jar of rainbow origami stars will surely lighten your mood up! It’s super easy and simple to do! 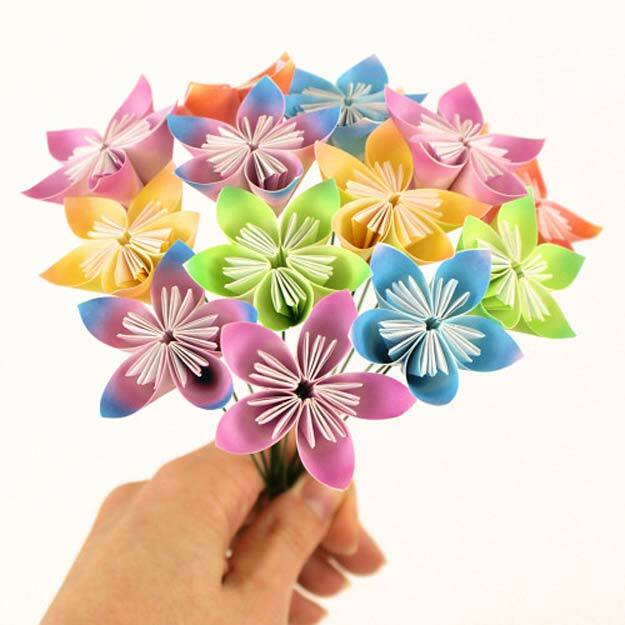 Click the link above to know how you can fill your own jar of colorful origami starlets! 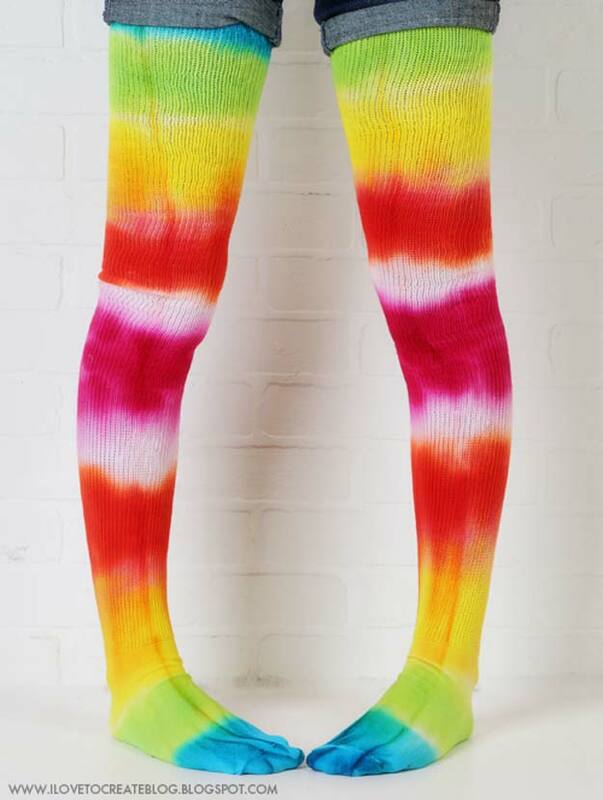 If you looovvveee rainbows as much then I’m guessing you badly want to have a pair of these leggings! Well it’s super easy to have one! Just click the link above the image and you’ll be walked through the whole process. Simple! 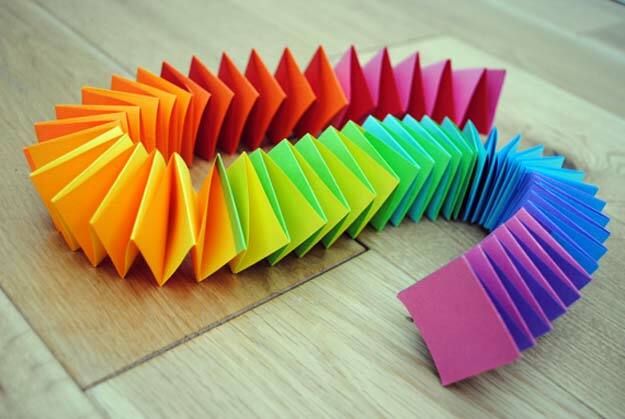 This Japanese inspired origami artwork is an excellent past-time activity! Not only that, you will be soothed and amazed by how beautiful the finish products are! Click the link above for a step-by-step how to. 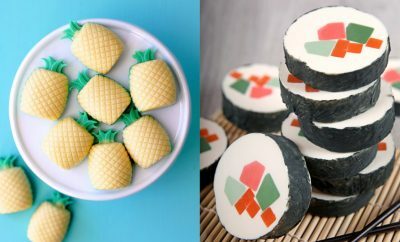 Washi tapes! So trendy these days! 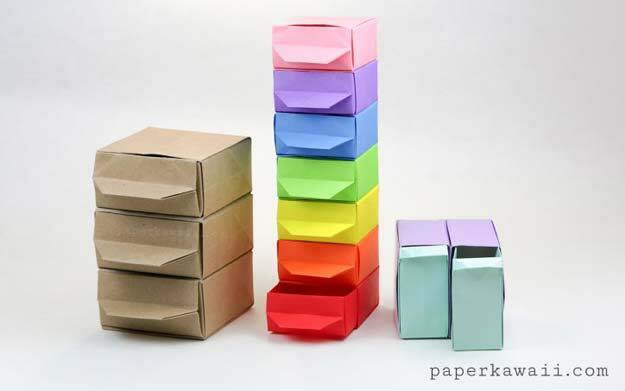 — and for some good reason: they are an excellent art material that would transform your artwork into one magnificent piece just like these washi tape organizers we have here! Learn what box has been used to create these organizers by clicking the link above! 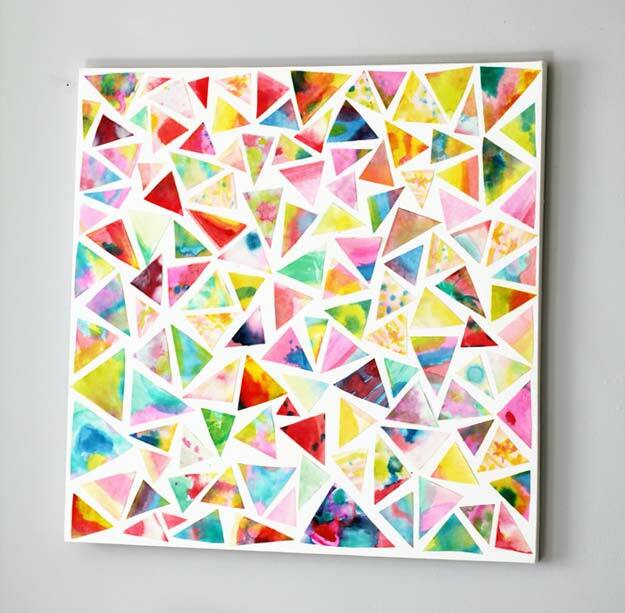 Want a super easy artwork to brighten up any space at home? Check out this folder paper garland you’ll surely adore! 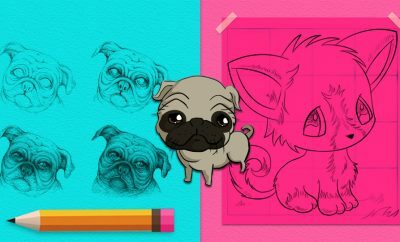 Thinking of a unique, colorful and fun cover to your books? Try this out! Click the link below to know how you can personalize your own book covers! How amusing is a rainbow in a jar? 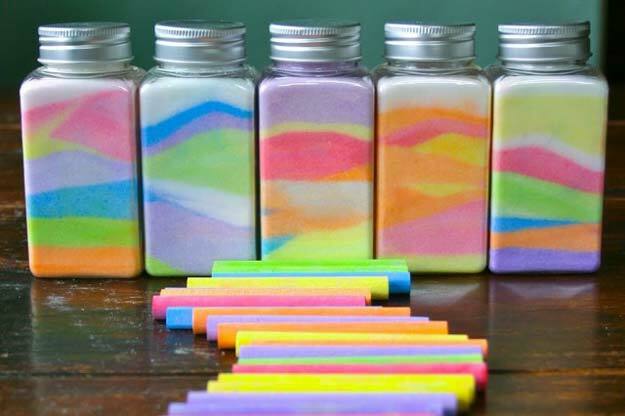 This time – with the magical colors of colored chalks! Perfect for decorations anywhere in the house! Click the link above for the tutorial. 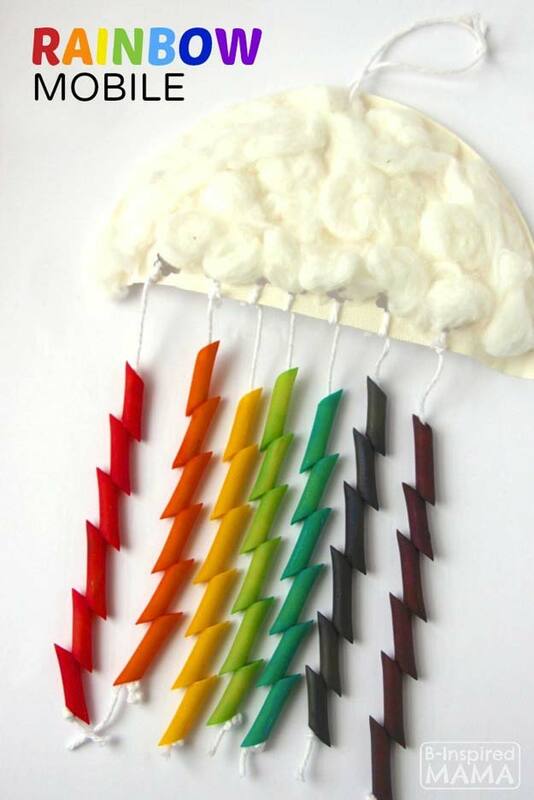 How fun is this rainbow mobile that looks like thunderbolts dropping from a cloud? If you ever get stuck at home on a rainy day, this project will keep you busy for a while! Hit the link above for an easy how-to. I have always adored lanterns from since when I was a little kid. It reminds me of beautiful summer nights when I am visiting the parks with my cousins, and fancy nature-themed restaurants that love to put a lot of lanterns on a tree. 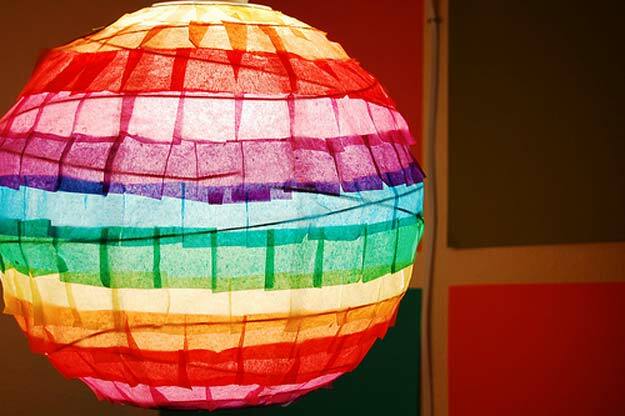 This rainbow paper lantern will surely bring all the lovely vibe into your own space! Check out the link above for the tutorial! 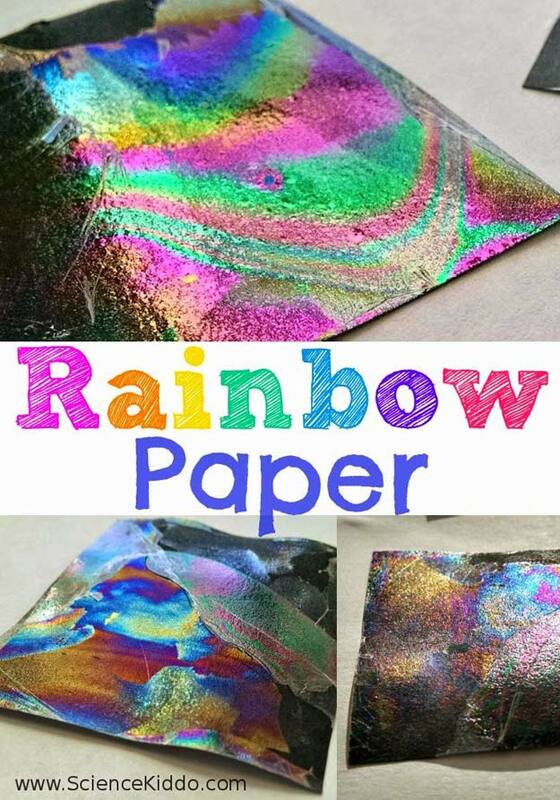 Wondering how rainbow papers work? Well, you might as well become a scientist for a moment and try making one of your own! Click the link above to know how! 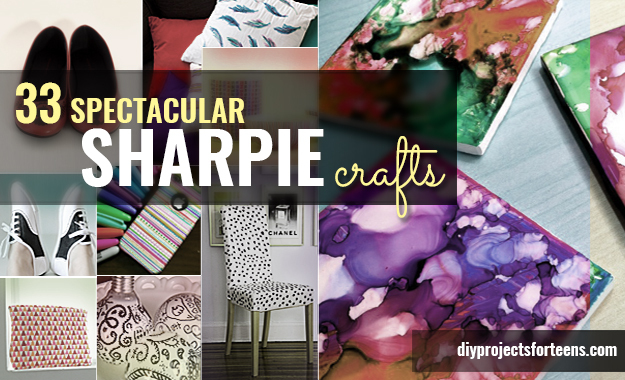 If you are the kind that loves sparkle A LOT, then this project is for you! 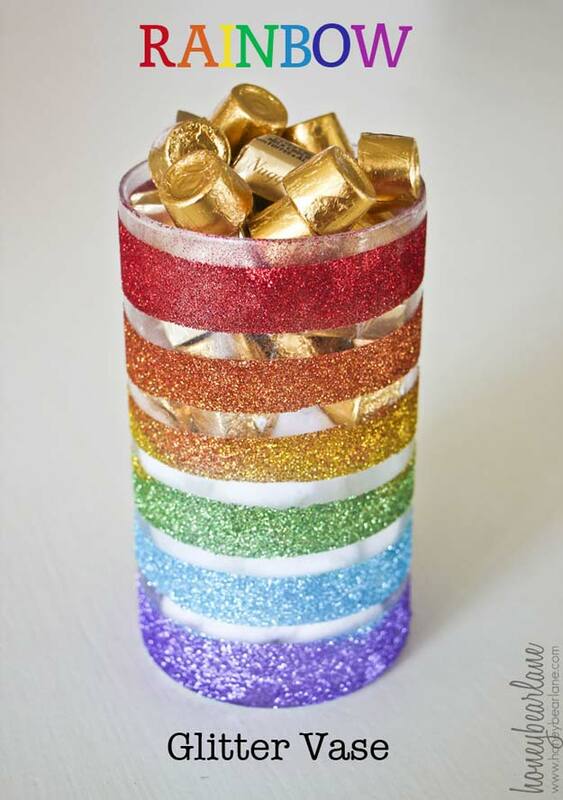 This Martha Stewart sparkle glitter vase is super easy to do! Check this out by clicking the link above! If you are one to crochet, then you’ll surely love this unique diamond stitch crochet pattern! Perfect for winter and perfect for presents! Click the link for the full tutorial! A no-sew scalloped pillow! Yes! NO-SEW! Isn’t it fascinating? And guess what! 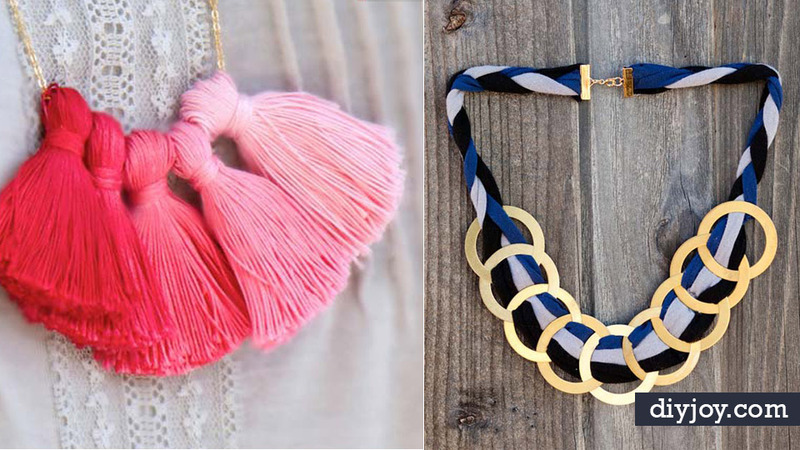 Making one is as easy as 1-2-3! Click the link above for the full how-to!